Allowing Divorce on the ground of irretrievable breakdown of marriage is exclusive within jurisdiction of Supreme Court and is beyond jurisdiction of any other Court in India, said the Court. Allahabad High Court has recently held that allowing Divorce on the ground of irretrievable breakdown of marriage is exclusive within jurisdiction of Supreme Court and is beyond jurisdiction of any other Court in India. 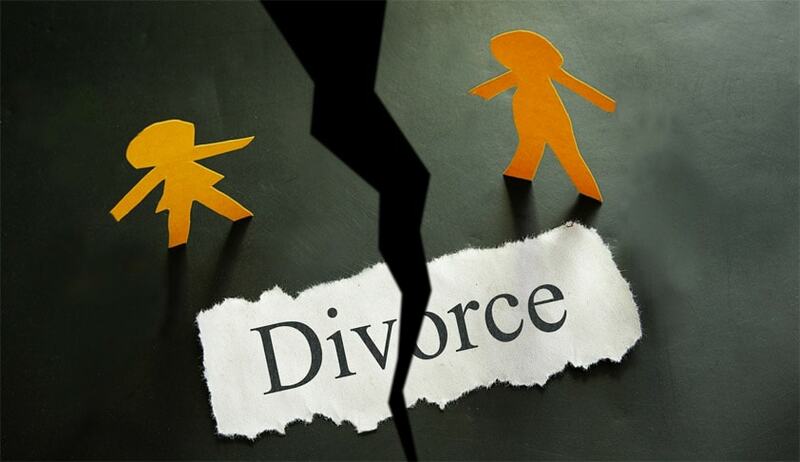 The Court has also directed the Law Commission of the State to take appropriate steps to consider for incorporating the ground of ''irretrievable breakdown of marriage' as grounds of divorce in Section 13 of the Hindu Marriage Act. The Court was considering an Appeal filed by Wife against the Judgment of IIIrd Additional Civil Judge, Senior Division (/ACJM), Gautam Buddha Nagar granting divorce to the Husband. In the judgment, the trial court had given finding that petitioner/husband had proved his case, and it is proved from the evidences that his Wife had treated the petitioner with cruelty in form of screaming and insulting before others, hurting and complaining in police. Trial court had also found there is evidence to the effect that that before filing of the petition, O.P.-wife had admitted her guilt and confessed to have ill treated the petitioner. This confession was made by her through her e-mail. Trial court had also found that reconciliation proceedings between the parties had failed and there is irretrievable breakdown of marriage, which cannot be saved. On these grounds, trial court had allowed the petition of divorce and dissolved the marriage of the parties. Against the judgment of trial court, Civil Appeal was preferred by Wife, which was heard and dismissed. In this judgment, lower appellate court had independently appreciated the evidences and held that parties are living separately from year 2002 and during the very short period of living together, their relationship was not normal. During this period, the wife had treated her husband with cruelty. First appellate court had held that from 2002 parties have no physical relationship and the appellant-wife had not tried for restitution of matrimonial bonds. Lower appellate court had also held that there is no evidence to show that appellant is forced to live separately from her husband, and that she herself had not discharged those matrimonial duties, which were expected from her and had treated her husband with cruelty. With these findings, the first appellate court had confirmed the judgment dated 22.1.2011 of trial court and dismissed the appeal. The High Court found that the parties cohabited for a short duration of about two and a half month. Then for the last 14 years, they are living separately. The relationship has embittered as appellant had filed criminal cases, which are pending. They are still hurling accusation against each other. Such accusation indicates in no uncertain terms that the spark of love, affection or for that matter, infatuation, has evaporated. There is absence of mutual respect. The behaviour of both the parties indicates the embittered relationship. Both are still undergoing traumatic experience. It is, therefore, held that continuance of such relationship would amount to mental cruelty. “For all practical purpose, it has become a dead marriage. In such a situation, the agony of continuing the marriage should not be prolonged. Couple are still not old. A whole life is ahead of them. They can start and build their lives afresh for which respondent had already started. It would be a travesty of justice, if in such a situation, the parties are directed to live together for which no one appears eager. Such direction would only bring more misery in their lives. The wife-appellant is living separately for the last 14 years and nothing has been stated by her that during this period she was laughed at or secluded by his family and friends. The possibility of hypothetical thought of the appellant that he would be socially ostracized if the divorce is misconceived. Such apprehension is an afterthought. The people's memory is short and one tends to forget the past. Considering the age of the appellant she can still make a fresh start and raise a family. Appellant is in apparently decent job and is not dependent financially or otherwise on anyone else.” said the Court in the Judgment. But the counsel for the appellant/Wife contended that the ground of ''irretrievable breakdown of marriage' is not sustainable. He submitted that the ground of irretrievable breakdown of marriage can be taken for granting the divorce by Supreme Court only in exercise powers under Article 142 of the Constitution of India, and this ground cannot be taken by any other Court including High Court for granting relief of divorce, because such ground is not mentioned in Section 13 of the Hindu Marriage Act. This legal plea was not denied by learned counsel for the respondent, who contended that though parties had reached to the point of no return and their marriage had been irretrievably broken down, which cannot be repaired, but such ground is not mentioned in Section 13 of the Hindu Marriage Act. Although ''irretrievable breakdown of marriage' is not a ground specifically mentioned in Section-13 of the Hindu Marriage Act, but it, in fact, is the basis of the principle underlying decree of divorce under this provision, as is evident from the meticulous appreciation of the provisions of this Section. The grounds like cruelty, desertion of not less than two years, conversion to another religion, unsoundness of mind, mental disorder, suffering from incurable leprosy, or venereal disease in a communicable form, or renouncement of world, not been heard of as being alive for seven years; or (as incorporated by U.P. State Amendment) reasonable apprehension of harm or injury, non-cohabitation after judicial separation mentioned in Section 13 of the Hindu Marriage Act leads to inference that when such situation has arisen that parties cannot live as spouse and there appears no chances of their re-conciliation, which means the marriage has irretrievably broken down of marriage and there is no chance of it being repaired, then under provisions of Section 13, divorce should be granted. But as Hon'ble Apex Court held that this cause, in its isolation, being not mentioned in Section 13, cannot be taken as ground for granting the divorce. Therefore, although the lower courts had granted the divorce on two independent grounds of cruelty and irretrievable breakdown of marriage, but the second ground of irretrievable breakdown of marriage is exclusive within jurisdiction of Hon'ble Apex Court and is beyond jurisdiction of any other Court in India; therefore, second substantial question of law is decided in affirmative and in favour of appellant. When it is obvious that the marriage between the two cannot, under any circumstances, continue any further and the marriage becomes practically dead, then considering the matters of ''irretrievable breakdown of marriage', or where the repair of broken marriage becomes impossible, it appears appropriate that such grounds may be accepted as ground for divorce.Therefore, this Court suggests the Law Commission of the State to take appropriate steps to consider for incorporating the ground of ''irretrievable breakdown of marriage' as grounds of divorce in Section 13 of the Hindu Marriage Act.